I am in the midst of a preaching series called Foundational Attitudes; Developing the Mind of Christ. Yesterday the attitude was patience. I Cor 13:4 Love is patient. I shared how my grandson Jack is helping grow in patience. 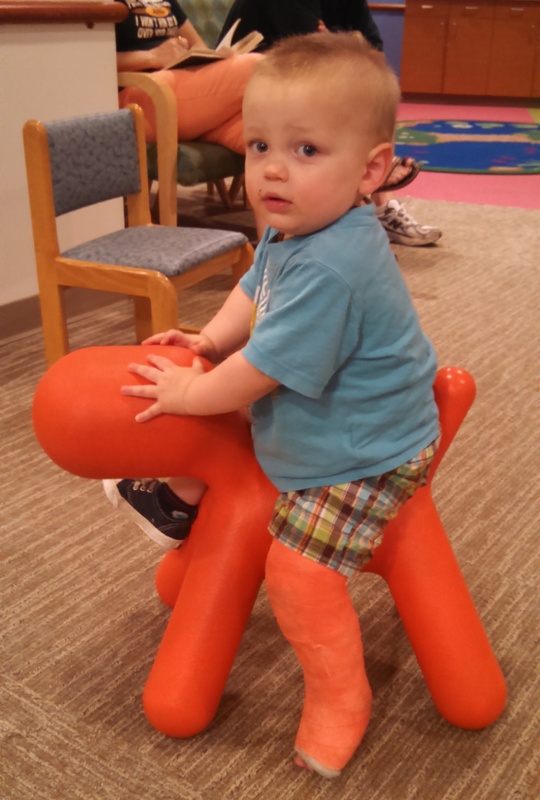 He even taught me how to wait patiently at the doctor’s office prior to his cast being removed. Jack Waiting Patiently (sort of). From these it appears that I am a slow impatient learner! Yet I also realize that patience is cultivated and grown over time. It is not instantaneous. Yesterday I discussed how we cultivate patience in daily circumstances, with other people and with ourselves. .
Robert Roberts writes about this in his excellent book: The Strengths of a Christian (1984) in which he describes how we cultivate patience with other people – our neighbors in Christ. When have you had to cultivate patience in your relationships with others? Lord Jesus, teach me to cultivate patience by see you in my neighbor. This entry was posted in love, Uncategorized and tagged neighbor, patience, Robert Roberts on July 14, 2014 by Pastor John Keller.